Michele serves as Clinical Specialist for the Western Region for Innara Health. She possesses several years of experience as a Neonatal Therapist working at the bedside with specific focus on feeding progression. This, combined with her business acumen, previous medical sales experience, and unwavering passion for this fragile population, translates well in providing support for our existing clients. Michele has an extensive background in neonatal and feeding development and has built her career assessing the feeding and development of babies in their home environment, along with providing guidance and education to the parents. She resides in Fort Worth with her family and very large, very spoiled Goldendoodle, Nelson Sebastian McGregor. 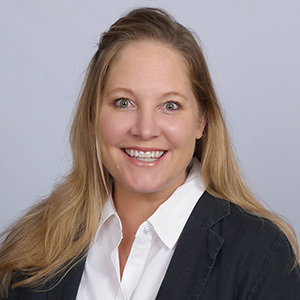 Stacey serves as Innara Health’s Clinical Specialist covering the Midwestern US. She is a practicing Neonatal Intensive Care Nurse in Omaha, Nebraska with over 15 years of experience. Since 2014, she has expanded her career to include being a Clinical Specialist to bring innovative technology to NICU patients across the country. Stacey is very passionate about developmentally supportive care and feeding quality of premature babies. As Clinical Specialist for Innara Health, she is responsible for providing clinical expertise on the NTrainer System, pre and post sales support, training customers on the use of the NTrainer, and providing support to customers at all times. Stacey received her Bachelor of Science in Nursing from the University of Nebraska. She is certified from the National Certification Corporation (NCC) in Neonatal Intensive Care Nursing since 2011. Meghan serves as Clinical Specialist for Innara Health’s Eastern Region of the US. Meghan has more than 10 years of experience in the clinical and health care industry as a registered nurse, clinical consultant and product specialist. Prior to joining Innara, she supported the Interactive Patient Care and Patient Experience team at Carolinas Healthcare System. Prior to her transition from the bedside to the industry, Meghan worked in the NICU/step down unit in Charlotte NC and Charleston SC, having the opportunity to gain invaluable experiences and meet many incredible patients, families, and healthcare providers. The NICU will always be a huge passion for Meghan and she stays very involved with several non-profit organizations, the NIC of Time, as well as, the local Ronald McDonald House. Both organizations are closely tied to helping families and NICU patients at Levine Children’s Hospital in Charlotte, NC. Meghan resides in Charlotte with her husband, Chris. They are both avid Clemson University fans and love traveling and outdoor activities.